Do you have a new year’s resolution yet? I’ve been thinking about what mine could be for the past few days. Some of my family members have a Facebook group devoted to physical challenges, mostly related to food and exercise. It’s a great way to check-in and support each other. We’ve done several 30 day challenges. One was to cut out sweets for a month, another was to walk 10,000 steps a day, and we had veggies daily. Last month I tried to drink 80oz a day. I didn’t make goal most days but definitely was more hydrated. Monthly goals are great for me because they help me stay consistent without getting completely overwhelmed by the thought of doing this for an entire year. 365 days is a big number! The creative introvert who wants to be physically stronger in me is thinking of categorizing goals. Creative goal: try something new every month. This can be learning to knit hats, designing a quilt, making a new page in my art journal, trying a new recipe, or a myriad of other things. Social goal: something. I don’t know what I want this to look like yet. Touch base with each member of my immediate family? Make new friends? Invite people over? Initiate conversations? Join a quilt guild when I move? Teach classes? Health goal: continue with monthly challenges. Get stronger. Stronger than what? How strong? Concrete numbers are good with goals because you’ll know when they’re attained. With my water challenge, drink more water is vague but drink 80oz is trackable. So that’s where I am so far. How about you? This entry was posted in Challenges, Collaborations, Family and tagged 2016, challenges, creative, drinking, exercise, Facebook group, Family, food, goal, goals, health, introvert, learning, more water, planning, quilting, resolution, resolutions, social, stronger, walking on December 28, 2015 by quiltartbymegan. 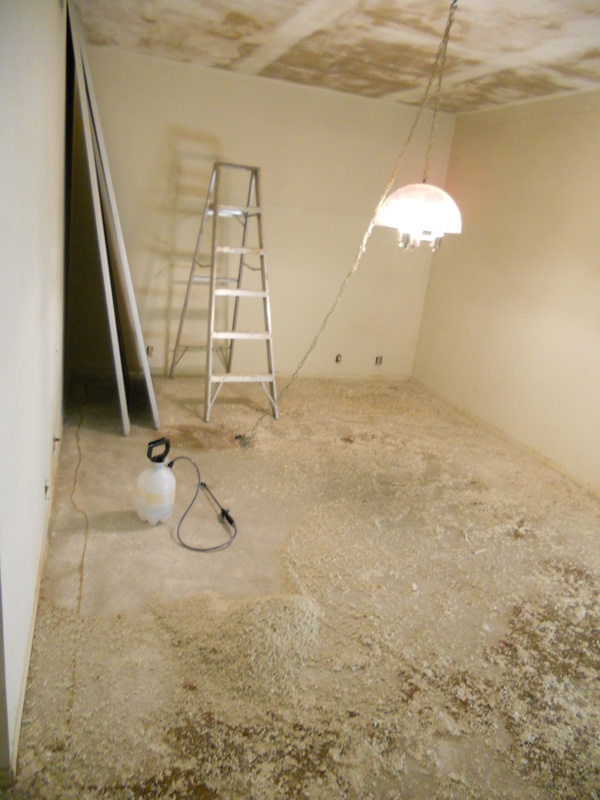 I’ve been putting a lot of time and effort into improving my own head-space…. you know being very on-purpose about noticing my thoughts and behaviors. I want to become a better version of myself. Maybe even become more of myself than I’ve ever been. Clearly, this is a very personal journey…. though I’ve had lots of help along the way. I had a bad day. I did. It didn’t undo all the progress I’ve made. I just had a bad day. By keeping things in perspective I’m able to continue moving forward. Thing is, this isn’t just for me. My mom once told me that with each generation we get better. I remember hoping that would be true but it doesn’t happen effortlessly. My reaching for higher health for myself may trickle down to future generations, especially if/when my husband and I decide to have children. The Project Quilting Challenge for this week is up-cycling. Much of my art is very personal. You now know what I’ve been thinking about, so it’s probably no surprise that I knew the title of this piece before anything else. 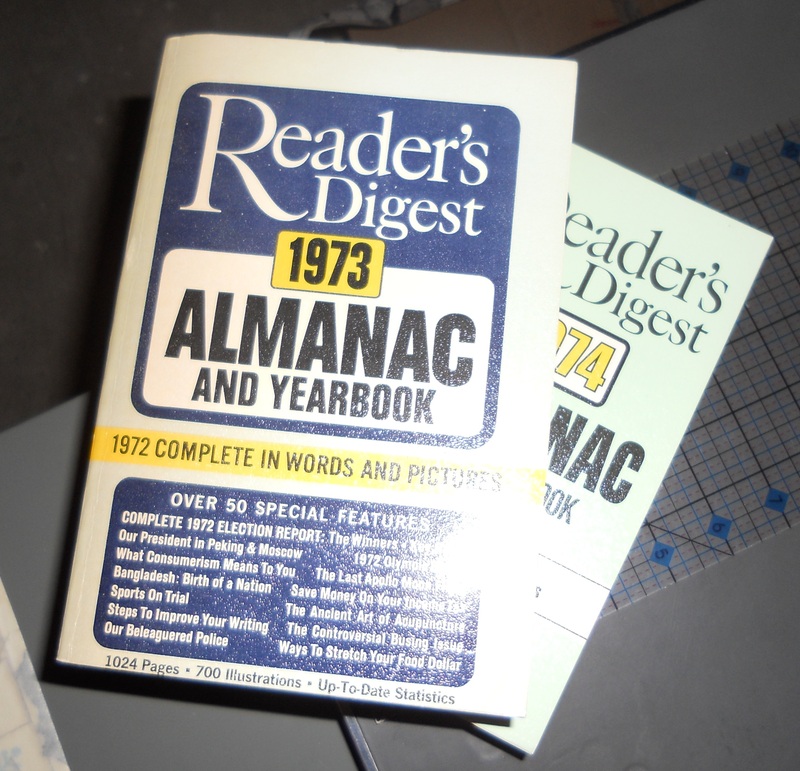 It’s called, “For The Children.” First, I tore photographs of children out of these Reader’s Digest Almanacs from the 70’s. 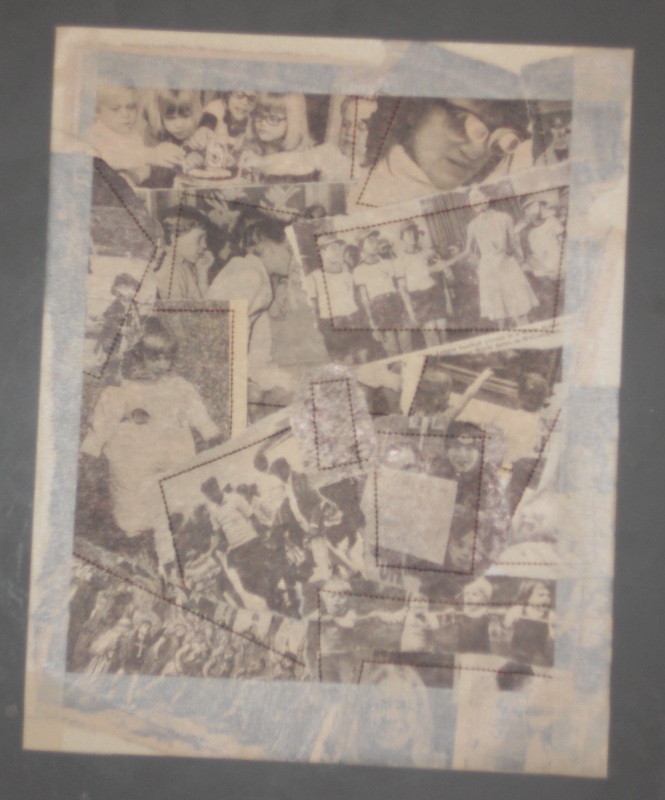 The tear-ings (not clippings) were raw-edge appliqued and bound with masking tape. In this case, raw-edge applique is code for sewn down. ‘Cause I used my sewing machine on paper. Yup. 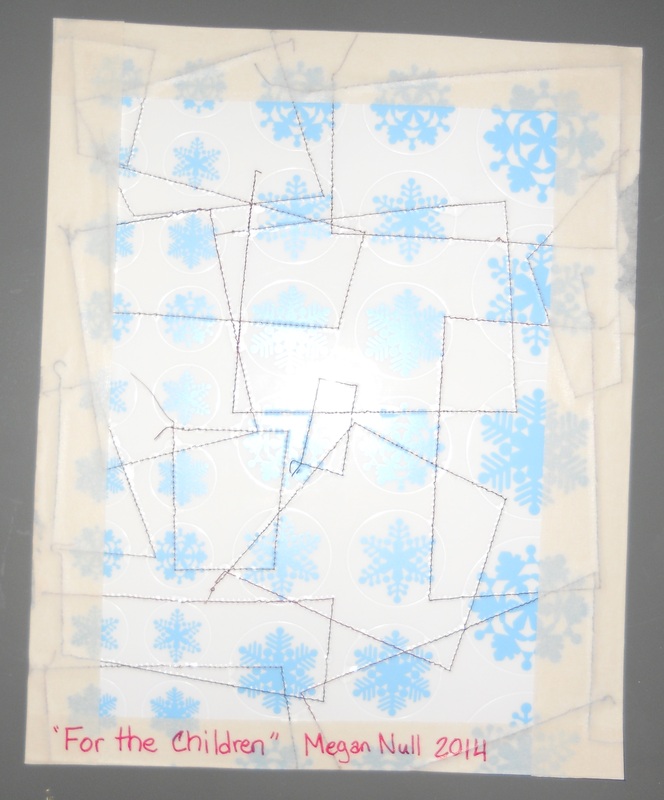 The backing for this piece is a sheet of cling-on snowflakes found as Christmas decorations. They add meaning because I made and donated snowflakes when the Sandy Hook Elementary School reopened after the shooting. Plus we’re each a unique and beautiful snowflake but collectively (and individually) we can change for the better. One more thing. I made the following quilt for a dear friend. It almost said, “You are loved.” This is much better. Now she can read it to herself as an affirmation… as a tool to help shift head-space from negative to positive. An opening up. 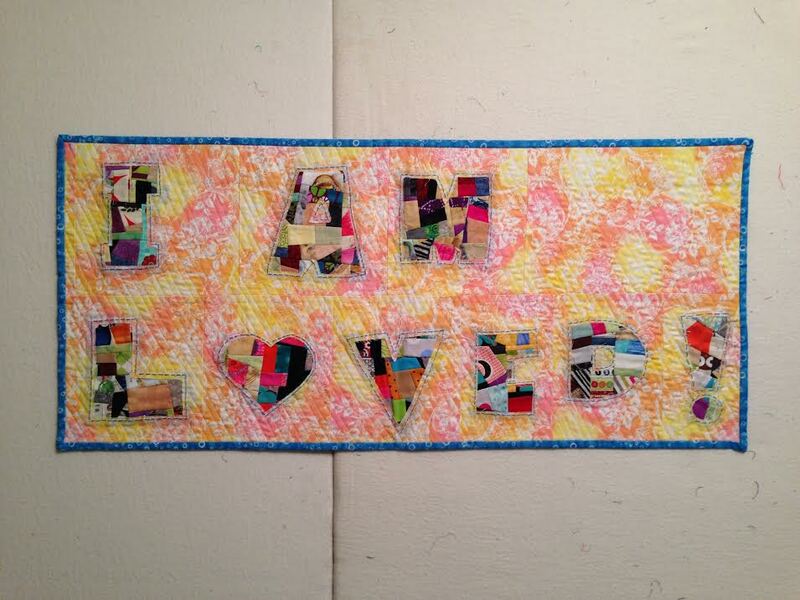 This entry was posted in Applique, Art, Artist's Studio, Crumb Quilting, Inspiration and tagged affirmation, alphabet, applique, bad day, challenge, change, change the world, child, children, collage, crumb quilting, crumbs, generations, head-space, health, healthy, i am loved, kid, kids, letters, personal art, personal creation, personal journey, positive, progress, project quilting, quilt, quilter, quilting, quilts, reverse applique, snowflakes, title first, torn paper, unusual materials, up-cycling on January 25, 2014 by quiltartbymegan.